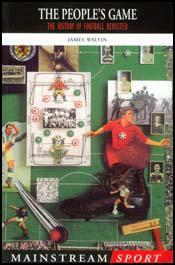 The Royal Engineers Football Club was founded by Major Francis Marindin in 1863. According to Frederick Wall, the Royal Engineers pioneered the passing game at a time when most clubs placed an emphasis on the long-ball or dribbling. To popularize football, the club toured the industrial areas of England. This included playing games in Derby, Nottingham and Sheffield. In 1871, Charles W. Alcock, the Secretary of the Football Association, announced the introduction of the Football Association Challenge Cup. It was the first knockout competition of its type in the world. Only 15 clubs took part in the first staging of the tournament. This included the Royal Engineers who reached the final on three occasions. They were defeated by Oxford University in 1874 and the Wanderers in 1878 but won the competition in 1875 when they beat Old Etonians 2-0. The Engineers suffered only three defeats in 86 games between 1871 and 1875. The Royal Engineers remained an amateur club and lost any chance of winning any major competition after the growth of professionalism.